Wait a second. What does that say at the bottom there? 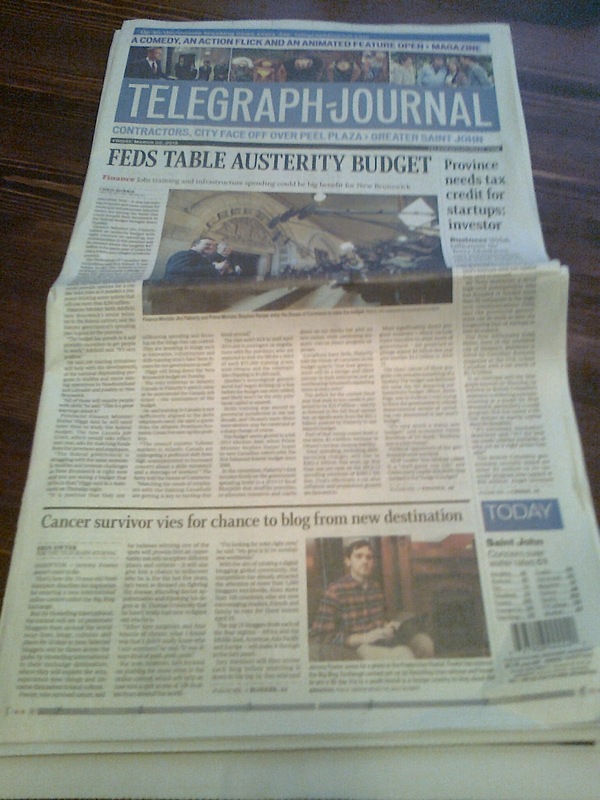 Head on out and grab The Telegraph-Journal from today (March 22, 2013). I'm on the front page! Also be sure to VOTE! 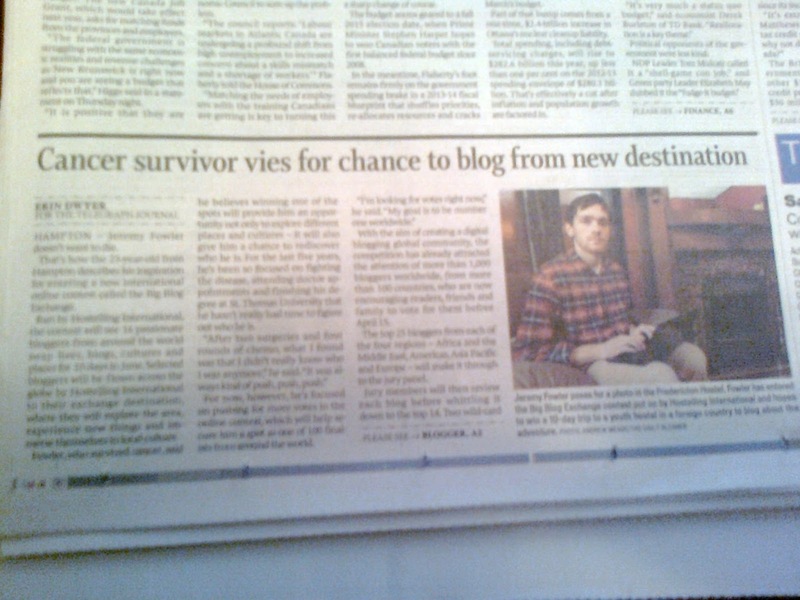 Special thanks to Erin Dwyer for the beautifully written article and Andrew Meade for making me look so good in his photograph. And thanks to all for the support!